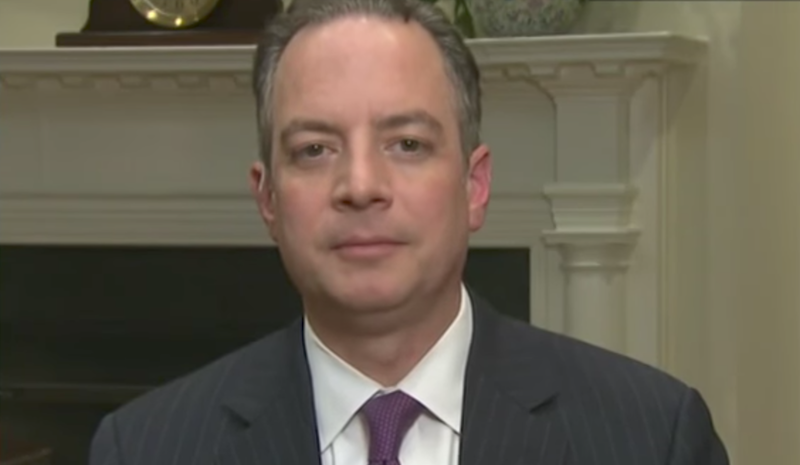 The above video is an excerpt from Reince Priebus' first interview after his resignation on Thursday as the White House Chief of Staff. Mr. Priebus' body language signals are worthy of examining. 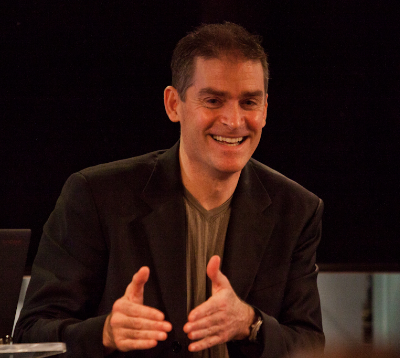 What follows is a partial nonverbal analysis of a crucial portion of his exchange with CNN's Wolf Blitzer. REINCE PRIEBUS (Beginning at 0:44): "...One other thing - I'm always going to be a Trump fan, I'm on 'Tream Trump', ahum, and, I look forward to helping him achieve, ah, his goals and his agenda for the American people." WOLF BLITZER: "But why did you resign? I'm still, ah, I'm still trying to understand. I, I underst- stand that you told the President you wanted to resign, he accepted your resignation yesterday, but why? 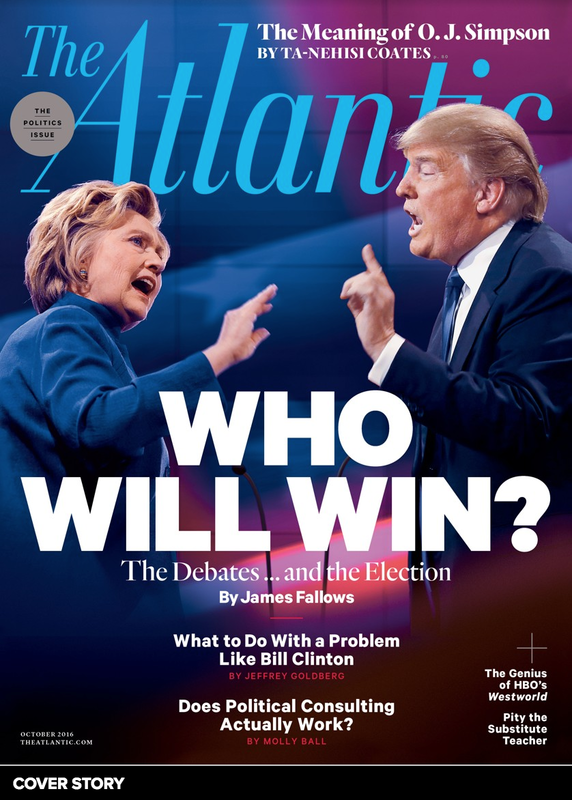 What were there a series of issues? Was there one thing that one thing that came up and se-, and you decided, you know what, I no longer can do this?" Just after Reince Priebus says, "...One other thing - I'm always going to be a Trump fan, I'm on 'Tream Trump', ahum, and, I look forward to helping him achieve, ah, his goals and his agenda for the American people" - his nostrils momentarily flare (0:57). Reince Priebus' stuttering and his mispronunciation of "Team Trump" as "Tream Trump", is a signal of his anxiety, low confidence, and low emotional comfort. Given the fact that he was essentially forced into resigning, his beta behavior is contextual and "leaks" out during this television interview. 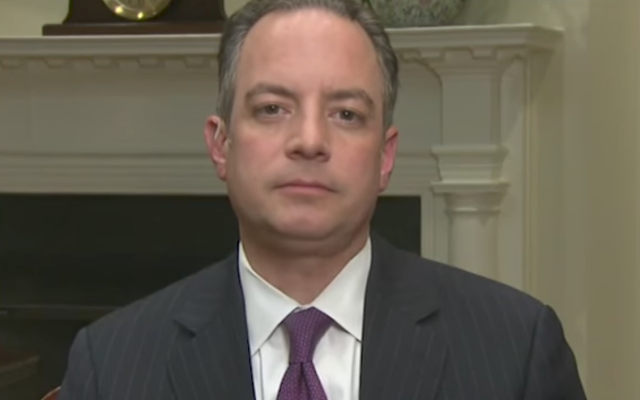 Mr. Priebus' nostril flaring at the very end of his statement, signals a significant adrenaline surge and further signals the "leaking" of his true emotions. This is analogous to an over-boiling pot - momentarily pushing its lid off. As Wolf Blitzer says, "... 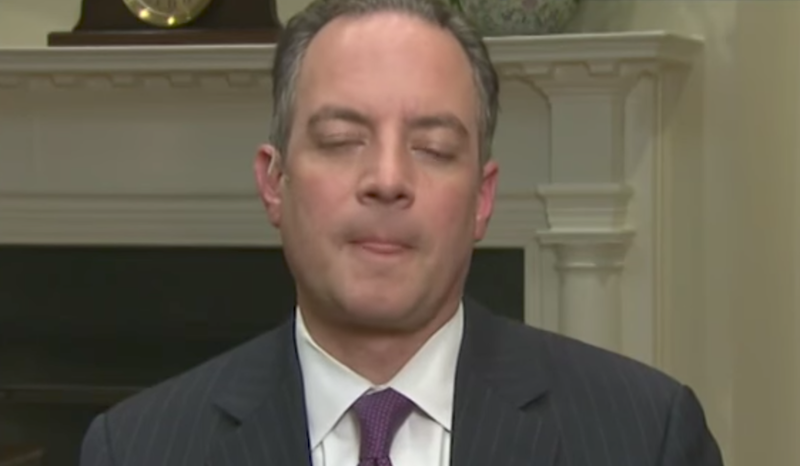 I, I underst- stand that you told the President ...", Reince Priebus displays a "Tight Tongue Jut" coincident with an extended blink (1:02). Note this signal came just after Blitzer said, "But why did you resign?" A tight tongue jut (not to be confused with a loose tongue jut) signals emotions of strong distaste, disdain, and being repulsed by a thought, an action, person, group of people, etc. This is a clear signal that Mr. Priebus did not at all want to resign. If you've ever fed an infant creamed asparagus or any other food they didn't want - it's no coincidence that their tongue behaves in this exact same manner. 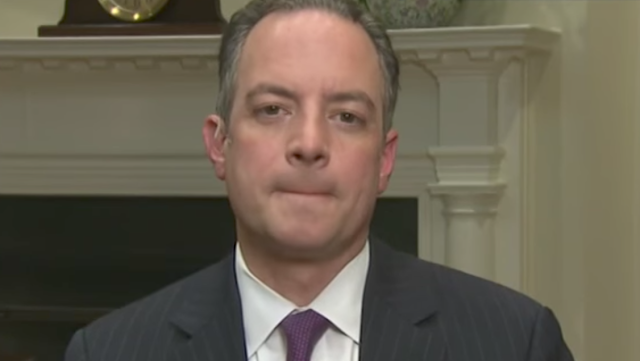 During 1:03, simultaneous with Mr. Blitzer saying, "... that you told the President you wanted to resign ...", Mr. Priebus immediately segues into an "Inward Lip Roll" (ILR). An inward lip roll is the psyche's attempt at both suppressing strong emotions from appearing on one's face as well as also preventing crescendoing internally. As Blitzer says, "... you wanted to resign, he accepted your resignation yesterday, but why? ", Priebus displays a Hard Swallow (1:04) - which is a non-specific signal of anxiety. Although considered by many to not be a very effective White House Chief of Staff, Reince Priebus was forced into resigning - and it was not act of his free will. As with anyone else in a similar situation, and very much contradictory to his verbal statement - he very much resents this and has disdain for the person or persons who precipitated his leaving the West Wing.